Automated Systems to encourage single-entry of data for the Management of Client, Financial, Contract and Project Information. Connect cross-site teams with collaborative, data-driven tools. 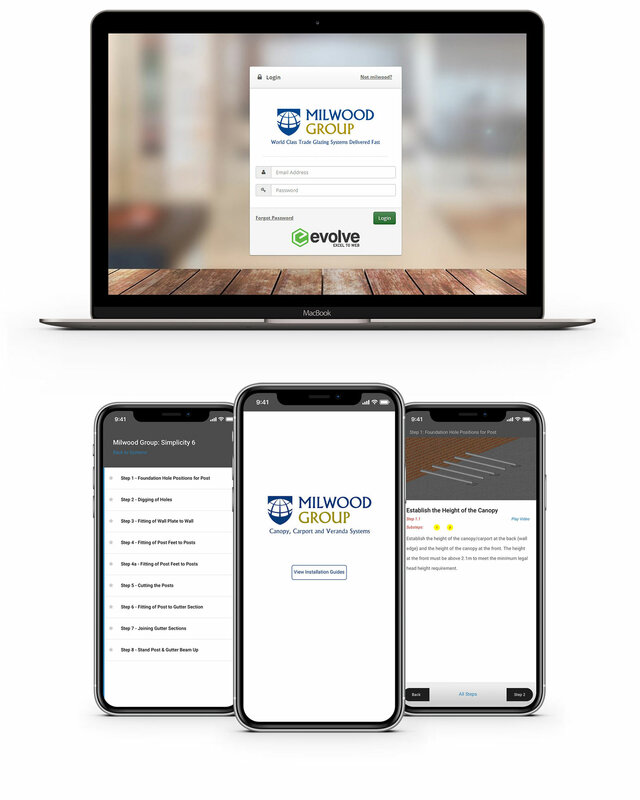 Milwood have implemented Snapwire's product EVOLVE with their resellers successfully having improved the quality, accuracy and efficiency of the quote lifecycle. Subsequently, Snapwire were requested to build a Mobile App capable of providing installation instructions to their resellers including an interactive, visual instruction guide and video.